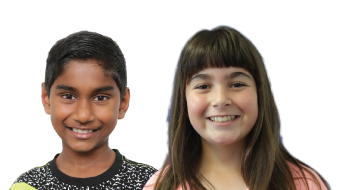 At Kip McGrath Rotorua, we focus on English and maths tuition for primary and secondary students. The centre offers qualified and committed tutors who provide a supportive and welcoming learning environment. A wide range of multi-media resources are used within the sessions which are successful in helping children overcome problems in English, reading, spelling, comprehension and maths. We are committed to meeting each child’s individual learning needs, with each child provided 80 minute sessions which includes one-on-one attention with a tutor in a small group learning environment. Their progress is regularly assessed and parents or guardians are kept informed with ongoing progress reports and regular tutor feedback. Book a FREE assessment today and find out how we can help your child build a brighter future!